Alarm kicks off at 6.30am, normally signing into the girls and the team whatsapp – there’s always a birthday or something to giggle at. Into the shower to fully wake up then off with my day. I’ve been trying to read on the way into and back from work. One highlight of my morning is crossing Blackfriars bridge – rain or shine – I love the view. My role is to create spaces which bring the best out of people. Myself and my team have the opportunity to engage with all industries, to meet a massive variety of people in various roles and stages of their careers. Each of these people are asking us to improve their day to day. Not only to create a beautifully designed workspace, but to create a workspace that enhances the functionality and productivity of a business, and that either creates or enhances cultures which are conducive to both a successful and happy business. 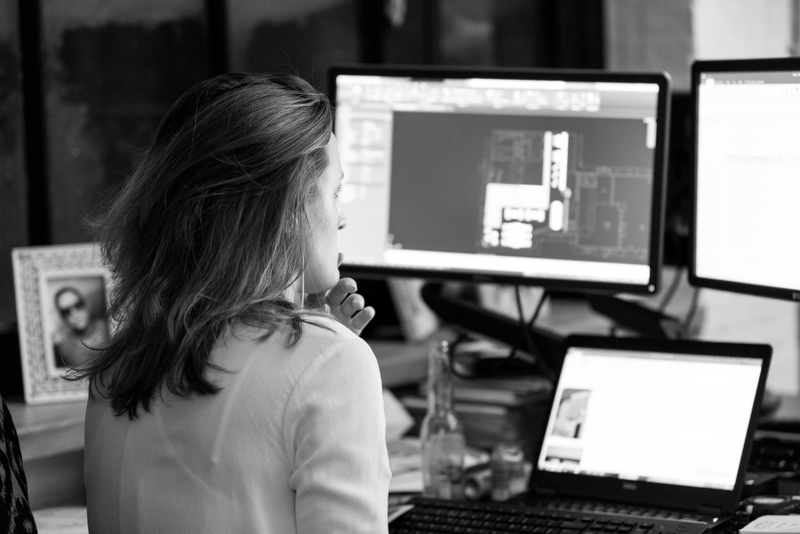 My specific responsibilities revolve around my team, ensuring that they are designing to the best of their abilities. We pride ourselves on our progressive thinking, our creative ideas, our technical understanding and our commitment to delivery. It sounds totally cliché but I’ve always wanted to be a designer (that or storm from X-Men…). I remember meeting a designer when I was younger, seeing how well presented she was, how she engaged and understood people, her attention to detail, her beautiful studio and the incredible international projects she worked on. All while running around after three kids! I found her massively inspiring and that’s stayed with me since I was tiny! I have always been interested and impressed by space. How a space or environment can allow people to feel emotionally, how it can dictate behaviours and how it can be memorable and lasting. 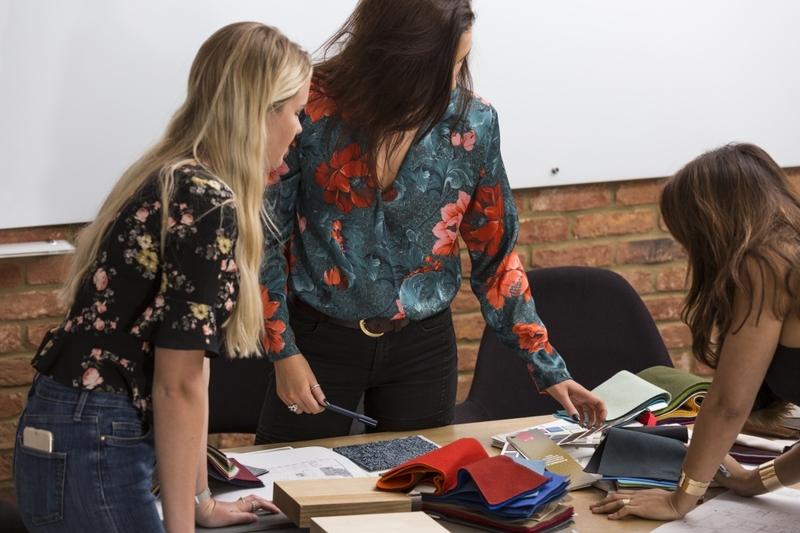 The world of workplace design and build is a very intense and fast paced industry, but I love that it offers such variety and allows me to explore so many aspects of design, whether they be from a functional or an aesthetic perspective. One day you will be figuring out how many people can physically work within a building and another you will be trying to fit an F1 car through the front door! No such thing as a typical day! Every day is different, whether I start on site or in the office. However usually within a day I’ll have a few client meetings presenting ideas and options, an internal design crit to progress our projects as a team and then off and on emails discussing schemes with our visualisers, building control inspectors, sub-contractors or Project Managers. This year I have two moments which stand out the most. Firstly designing and delivering Red Bull’s new HQ in Seven Dials alongside a brilliant team. Secondly, helping to create and lead a fantastic design team, seeing their successes and their progression. My Dad and grandfather have always been very inspirational to me. My Dad is very creative but very business minded, seeing opportunities and solutions in everything and usually with a great creative eye. My grandfather is more engineering minded, however also an accomplished builder – building his own house and detailing it beautifully – a lot of thought and care went into the functionality of the space, and you can feel it when you stay there. I would create rockets which could take you to the stars and back. I spend a lot of time – especially on holiday – gazing up at the stars and being totally baffled by them. To experience space and still come back to earth as often as you want would be amazing to me. Be honest and show care in all that you do.